The evangelization of the native tribes in the Central Mindanao highlands (now Bukidnon Province) began towards the middle of the 19th century. The first mission station was Malitbog, situated in the canyon behind Tagoloan. The Spanish Recoleto friar who had charge of the parish of Jasaan (of which Tagoloan was a dependent chapel), made occasional visits to Malitbog. A chapel was already existing there by 1848. In the 1870s the Recoleto Fray Mateo Bernad who had charge of Jasaan, made excursions farther up to the valley of the Tagoloan River and established a chapel at Sumilao, which he dedicated to the Patroness of his native Aragon, Our Lady of the Pillar. He made visits further inland, to Impasugong, Kalasungay, Malaybalay, Bugcaon, and established a chapel at Linabo, on the confluence of the Sawaga with the Pulangi. The baptisms administered in these various places were recorded in the baptismal register of Jasaan. Access to Bukidnon at that time was by trail up the Tagoloan River on horseback. In 1876, in accordance with an earlier royal decree entrusting all of the Mindanao missions to the Jesuits, the Jesuits took over the parish of Jasaan. The evangelization of the mountain area was at once intensified. A resident priest was eventually assigned to Sumilao, and later also to Linabo. It was from Linabo that Father EusebioBarrado made his historic exploration of the Pulangi downstream to the Cotabato regions where it became the Rio Grande de Mindanao. More and more of the “Bukid-non” (Monteses) of the northern part (or valley of the Tagoloan) and of the Manobo in the southern (or valley of the Pulangi) thus became Christian. One Jesuit lay-brother (Jose Vila) assigned to Sumilao died of fever while taken down to Tagoloan and was buried by the tribesmen in an unmarked grave somewhere near Dalirig. This was the situation at the time of the Revolution when all the priests and lay-brothers of northern Mindanao were imprisoned in Cagayan by the insurgent leaders. After the restoration of peace during the American regime, the Spanish Jesuit went back to Sumilao, serving all of the Bukidnon area from that base. Father LaureanoContin, SJ was the last Spanish Jesuit to be in charge of the Bukidnon missions based at Sumilao. After 1927 he was replaced by American Jesuits. By that time a road had been constructed, making it possible to penetrate into Bukidnon by vehicle from Cagayan, instead of on horseback from Tagoloan. In the 1930’s, besides Sumilao, a second Jesuit mission station was established at Malaybalay. (Malaybalay had become the provincial capital and had regained its old name. In Spanish times it had been renamed “Oroquieta” by the Spaniards in honor of one of their generals in the Spanish civil wars). Ecclesiastically, the Bukidnon missions, like all the rest of Mindanao, had been under the jurisdiction of the Bishop of Cebu until 1865. With the creation of the Diocese of Jaro in that year, Mindanao was divided longitudinally from north to south: the western part was under Jaro, the eastern remained under Cebu. In 1910 the Diocese of Zamboanga was created, with jurisdiction over all of Mindanao and the adjacent islands. In 1933, Mindanao was divided horizontally, the southern part remaining under the Diocese of Zamboanga and the northern part under the new Diocese erected at Cagayan de Misamis (now Cagayan de Oro). Two Jesuit bishops were appointed that year: Luis del Rosario for Zamboanga and James T.G. Hayes for Cagayan. Bukidnon thus became an integral part of the Diocese (later the Archdiocese of Cagayan). During the War Bishop Hayes and several of the American Fathers evacuated to Bukidnon were they were taken prisoner by the Japanese, subjected to harsh treatment and brought to Manila. One priest however eluded capture, Father Doino, who ministered to various Bukidnon villages and towns all through the war. His main base was south of Malaybalay. After peace was restored in 1945 the most intensive missionary work by the Jesuits in Bukidnon began. In the beginning, only one parish was reopened namely Malaybalay. But one Jesuit priest, Father James Cawley, made extensive excursions to the north and south, establishing chapels in many places that have since become parishes. Among his foundations were the mission stations (now parishes) of Maramag, Dancagan, Salawagan, Kiokong, San Fernando, Pangantucan, Kadingilan, Kalilangan, Dagumbaan, Wao, etc. In the 1950s a tremendous influx of immigrants came to Bukidnon from Luzon, the Visayas and other parts of Mindanao (many of them fleeing from Muslim depredations in Lanao and Cotabato). Most of these new immigrants were Christians and had to be given spiritual ministration. The Jesuits withdrew many of their men from other parts of Mindanao (the parishes taken over by Columbans or diocesan priests) and concentrated on Bukidnon. At one time there were nearly 40 Jesuits working in Bukidnon. This was the situation when in 1969 it was decided by the Holy See (on recommendations from the Archbishop of Cagayan and from the Apostolic Nuncio) to separate the Province of Bukidnon from the Archdiocese of Cagayan and create it into a Praelatura Nullius. At that time there was one diocesan priest and 35 Jesuit priests. Of these latter, 15 were Filipinos, the others of various nationalities (Americans, Italians, French, etc). The Praelature of Malaybalay was created by the Holy See on 25 April 1969. It was actually on 28 June with Archbishop Hayes of Cagayan acting as administrator until the new bishop was installed as Prelate Ordinary on 4 September 1969. The Prelate was Francisco Claver, S.J. an anthropologist. He was appointed on 9 June, ordained bishop in his native Mountain Province on 22 August, and installed in Malaybalay on 4 September. During the period of the Prelature two outstanding efforts were made. One was the intensive campaign to develop a native diocesan clergy, which began to bear fruit in the 1970s and 1980s. By mid-1980 most of the parishes that had been founded and served by the Jesuits had been taken over by the diocesan priests. The other outstanding effort was the resistance (passive but vocal) against the excesses of martial law and of the military. Unfortunately this resistance sometimes played into the hands of the dissident forces, including those of the communist-led NPA. With the increase in the number of diocesan clergy, the Prelature of Malaybalay was raised to the status of a diocese on 15 November 1982; with Bishop Claver as the first residential bishop. Two years later, on 14 September 1984 he resigned his see, and his coadjutor bishop, Gaudencio Rosales, took over by right of succession. The appointment in 1993 of Bishop Rosales as Archbishop of Lipa left the Malaybalay see vacant. Father MedardoEstaniel was elected administrator by the diocesan consultors. The new bishop, HonestoPacana, SJ was ordained and installed at Malaybalay on 24 March 1994. Father Pacana had spent many years in Bukidnon. He was the founder of the Bukidnon Catechetical Institute, and for a while he served as superior of the Jesuit mission district of Bukidnon. At that time of his appointment he was Rector of the St. John Vianney Theological Seminary at Cagayan de Oro. He is from Cagayan de Oro and is apparently the first native-born from Mindanao to be raised to the episcopacy. In February 19, 2010, Bishop Honesto Ch. 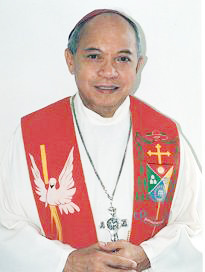 Pacana, SJ, DD became Bishop Emeritus of the Diocese of Malaybalay upon the election of His Excellency Jose AranetaCabantan, DD, as new Bishop of the Diocese. 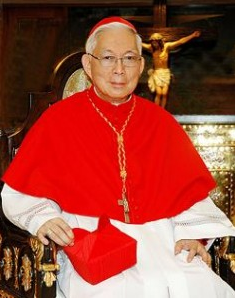 Bishop Jose AranetaCabantan, DD is a chemical engineer by profession before he entered seminary. He took his Bachelor of Science in Chemical Engineering at the Cebu Institute of Technology and graduated in 1979. Upon graduation he went home to teach Chemistry at the RVM-run St. John the Baptist High School. Upon passing the board exams, he worked for Nonoc Mining in Surigao City. Realizing his vocation for the priesthood, he entered the San Jose de Mindanao College Seminary in Cagayan de Oro City in 1983. After finishing Philosophy, he became part of the pioneer batch of seminarians at the St. John Vianney Major Seminary and was ordained to the priesthood in 1990. At the time of his elevation to the episcopacy, Fr. Cabantan was parish priest of Miraculous Medal Parish in Cagayan de Oro City and served as the Archdiocesan social action director. Bishop Jose Cabantan, DD was consecrated Bishop last April 30, 2010 at the San Augustine Metropolitan Cathedral, Cagayan de Oro City and later take position of the Diocese of the Malaybalay last May 15, 2010. Born: 19 June 1957, Lagonglong, Misamis Oriental. Ordained Priest: 30 April 1990. Ordained Bishop: 30 April 2010. Fr. Demetrio G. Berondo, Jr.